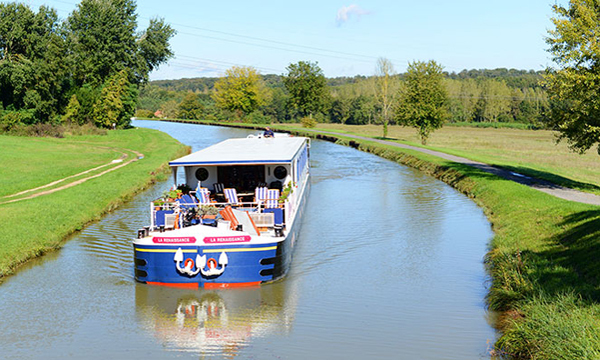 While not as well-known as Burgundy or the Canal du Midi, the Upper Loire is an emerging cruise region perfect for those who enjoy the discovery of travel. 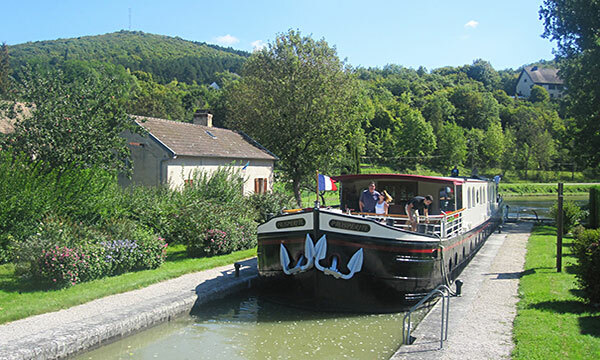 Within this halcyon setting, barge Renaissance serenely sails, inviting her guests into a charming world of natural beauty and pastoral allure. 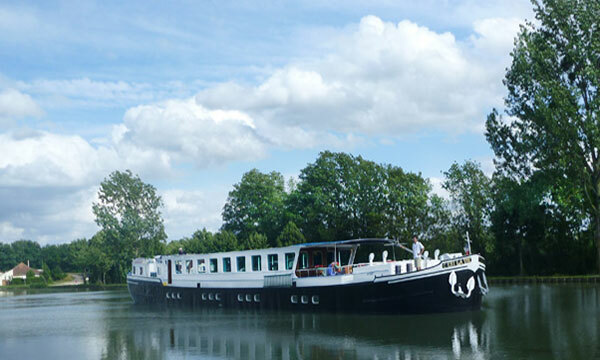 Elegant and tasteful with Provenicial-style décor, the vessel’s four identical cabins at over 225 square feet are among the grandest in barging. Designed for maximum personal space and contemporary comfort, public areas further the sophisticated ambiance. Russet reds, rich creams, and accents of gold come together in the light-filled salon, offering the perfect place for guests to sip a glass of wine and socialize with friends both old and new. 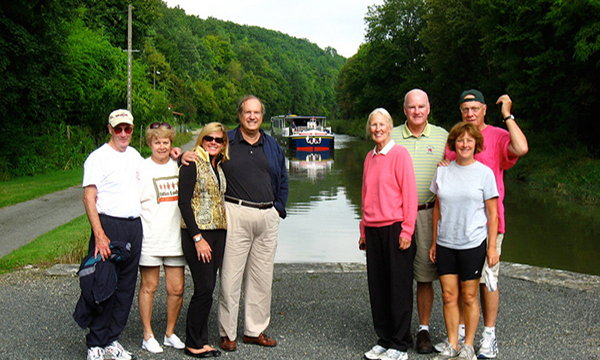 When not lazing in the hot tub or relaxing under the deck’s canopy, guests can explore the canal’s pastoral pleasures with a gentle pedal or leisurely stroll. Classic Continental cuisine is crafted by the barge’s dedicated Chef, focusing on regional specialties, seasonal inspiration, and market fresh ingredients. Hand selected wine pairings reflect the region’s many producers, both large and small, with an emphasis on the Sauvignon blancs and Pinot noirs meticulously made from the area’s pampered grapes. History, both modern and ancient, is everywhere within the Renaissance’s experience. 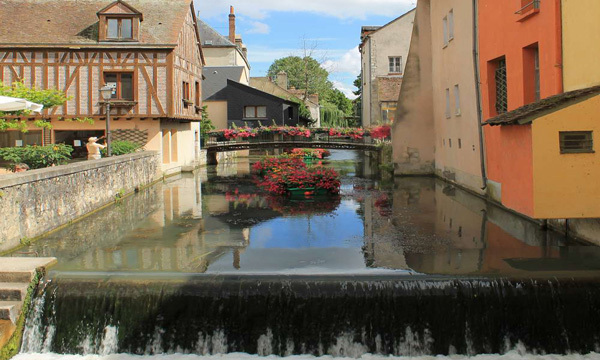 Sightseeing highlights include winetasting at Sancerre, touring local chateaux, and visiting lively markets. An excursion to the famed palace of Fontainebleau provides an intriguing contrast to the rest of this rural route. 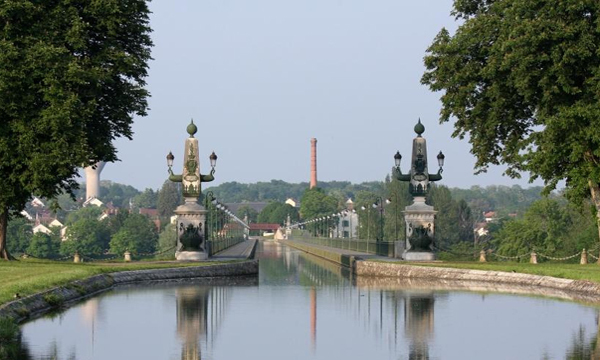 Finally, a cruise over the Loire River at Briare is on the “Pont Canal”, the famous aqueduct designed by the one and only Gustave Eiffel. In the afternoon, you will be met by a crew member of the Renaissance at the designated meeting point. 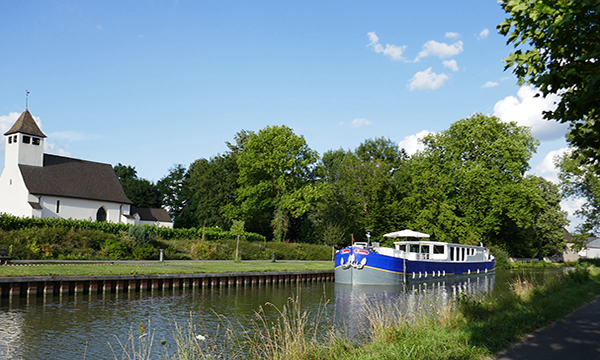 From here, relax as you are chauffeured to the barge, moored in Montargis. A traditional champagne welcome and introduction to the crew awaits you, before your first of many gourmet dinners aboard. End the evening with a nightcap in the hot tub. A morning cruise presents the perfect opportunity to relax on deck with a cup of coffee. In the afternoon, your Tour Guide escorts you to the Chateau of Fontainebleau, the only royal chateau to have been continuously inhabited for seven centuries. 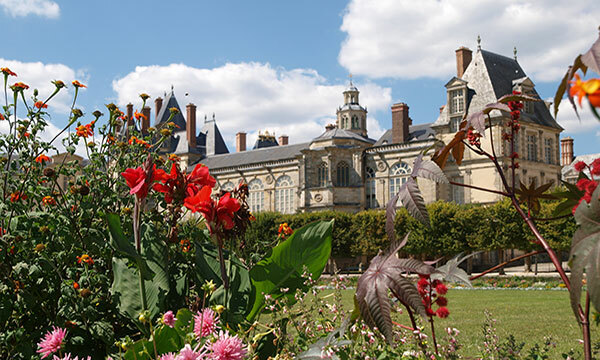 Ornately decorated and opulently furnished, your guided tour provides an unparalleled view of European history, French culture, and ornamental architecture. Return to the barge where cocktail hour precedes tonight's gourmet dinner. This morning, your Tour Guide escorts you to the Chateau de la Bussiere, known for its gorgeous kitchen gardens, as well its unusual décor inspired by ichthyology. Return to the Renaissance for a lazy afternoon cruise. Relax on deck this afternoon or explore the towpath on foot or by bicycle as Renaissance cruises past a 350 year-old flight of seven locks, an engineering marvel of its time. Enjoy drinks and dinner onboard tonight. This morning's excursion is to the town of Gien, the world famous center for French tableware. Visit the pottery, where designs of the original 19th century pieces were initially inspired by other European manufacturers or from those originating from the Far East. Your Tour Guide returns you to the barge for an afternoon cruise. 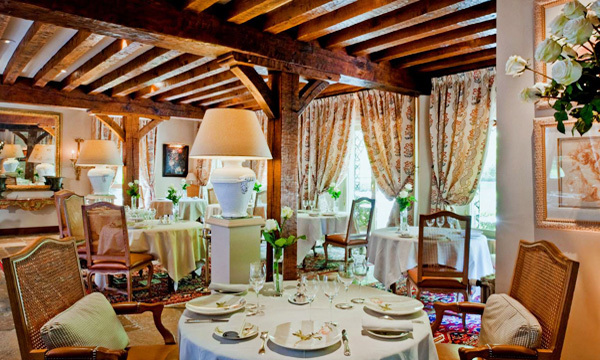 Dinner tonight is at Auberge des Templiers, a former post house converted to an inn and restaurant. Enjoy an evening stroll on the lovely grounds of this historic property. Laze in the hot tub this morning as Renaissance cruises through idyllic scenery, or explore the passing villages on foot or by bicycle. In the afternoon, visit the vineyards of Sancerre, which produce crisp and fragrant white wines. Sample the region’s terroir at a winetasting for a unique immersion into the world of wine pairings and flavor profiles. Back onboard, Chef is busy preparing tonight’s gourmet dinner. Bonjour! Today, foodies and Francophiles can join the locals for an early morning market visit. This afternoon’s cruise takes us over the Loire River at Briare on the “Pont Canal”, the famous aqueduct designed by Gustave Eiffel. Upon mooring, your Tour guide escorts you to Chateau de la Ratilly, where spectacular architecture of 13th century turreted towers awaits. The Captain’s Dinner tonight ends your cruise in style. After breakfast, you will be chauffeured to the designated drop off point. "Please note: this is a sample itinerary which may be subject to change depending on local conditions. 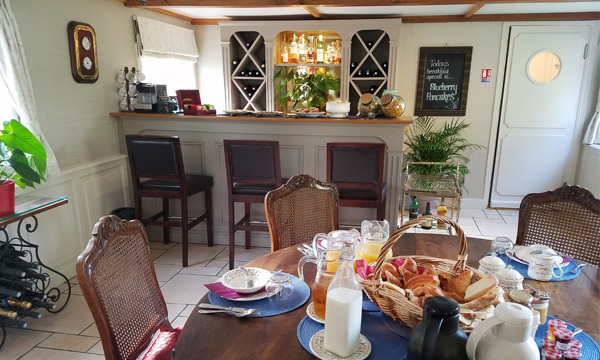 Breakfast selections consist of freshly baked goods from a local boulangerie, along with fruit, cereal, yogurt, cheese, coffee, tea, and juice. For lunches and dinners, your onboard Chef creates regionally and seasonally inspired fare. Lunch is typically a light buffet featuring hearty salads and savory entrees, and your multi-course gourmet dinner is served with grand table settings and fine crockery, all in a festive setting. Wine pairings feature a red and a white from area vineyards, along with a cheese platter of artisanal favorites. Note these are sample menus. Bon Appetit! 20% discount on private charter bookings on May 12-18, 2019 cruise week. 20% discount on cabin bookings for the following 2019 cruise weeks: April 21-27 and April 28 – May 4.
daily escorted excursions and use of onboard bicycles. *All rates are quoted in U.S. Dollars unless otherwise noted.